What is the Future of Minecraft? Hey, I'm Bradley. 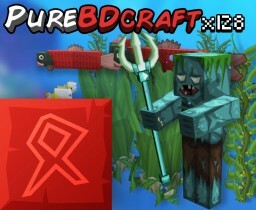 I like to make Minecraft skins, blogs, and more Minecraft content! I spend my time in a lot of different fandoms so I'm not as active on Planet Minecraft as I should be, but I try! I've been apart of Minecraft for almost all my life and have no plans to move anywhere, so I'll be sticking to Planet Minecraft for a while. I would say I'm apart of the PvP community, building community, a little part of the redstone community. So I mostly spend my time on Badlion Client instead of playing in vanilla Minecraft. Every part of Minecraft is really interesting to me and it's kind of cool to think that Minecraft as a whole isn't a community, the certain subjects with in the game is all their separate communities that almost have nothing to do with each other. No spam, nor bots alright?